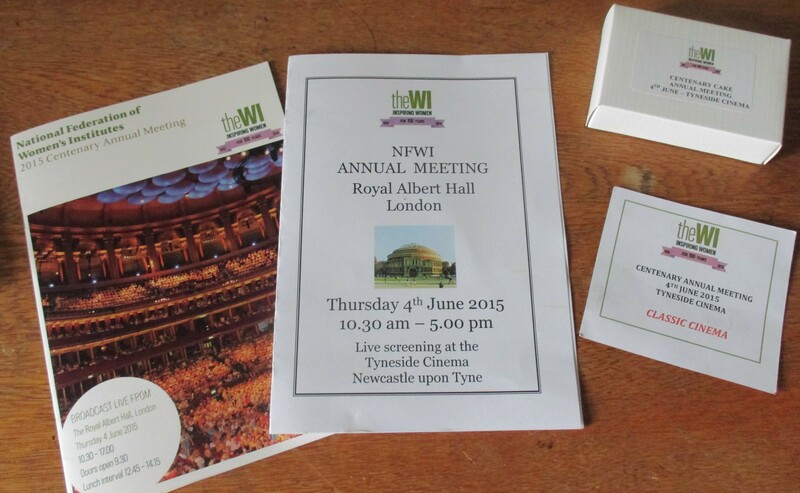 We weren’t lucky enough to be delegates at the Royal Albert Hall for the National AGM on 4th June 2015 but Fliss , Sheila and Linda went to the Tyneside Cinema Newcastle to watch the live streaming of the whole day. We think we had the best view but possible without the atmosphere of 5,000 women in London especially when Queen Elizabeth , Princess Ann and the Countess of Wessex arrived. We did get a piece of birthday cake!! Women leaving Buckingham Palace after the W.I. 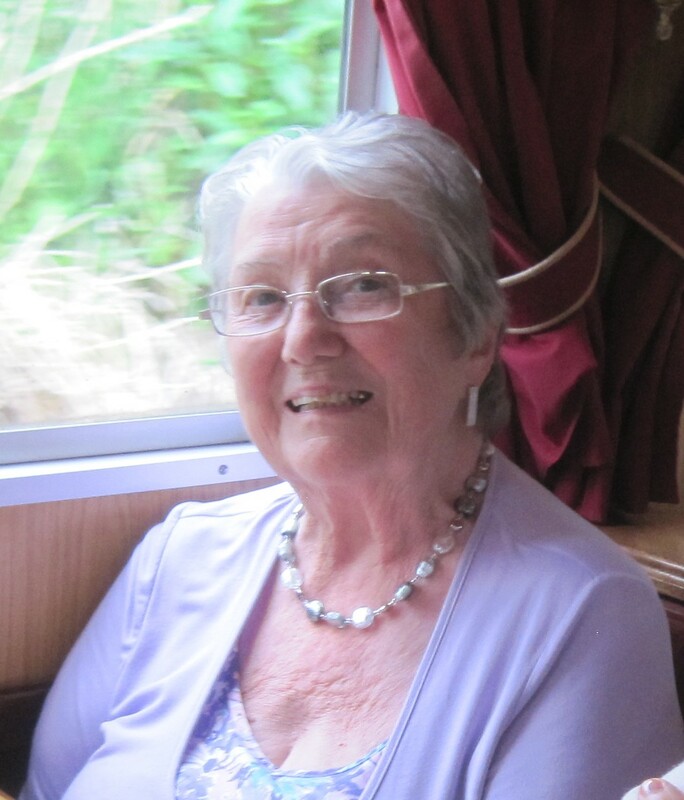 Centenary Garden Party 2nd June 2015.Linda Law was very pleased to attend this event which was a very grand occasion with a wonderful afternoon tea. Linda, Cynthia. Fliss, Sue,Denise and her friend Val joined other W.I. teams to build a sculpture that would celebrate the Centenary. 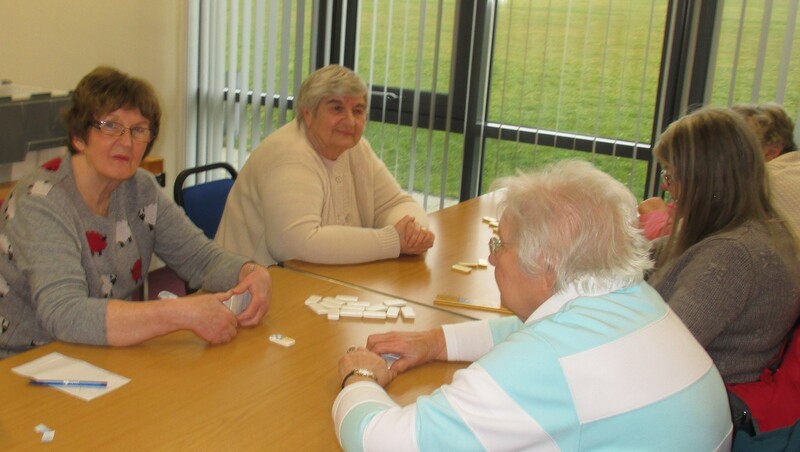 We choose to build a giant sandwich birthday cake decorated on the outside with some of the activities we enjoy, such as dominoes, book club, darts, flower arranging , jam making and tea and cakes. We didn’t win but there was some excellent competitors who had all had a fantastic day at the beach in warm sunshine. Thanks go to the winners Bamburgh who also were the hosts. We continue to have success in darts and dominoes as the B team were winners at the County Darts final and the B dominoes team were very narrowly beaten in the finals at Stannington. 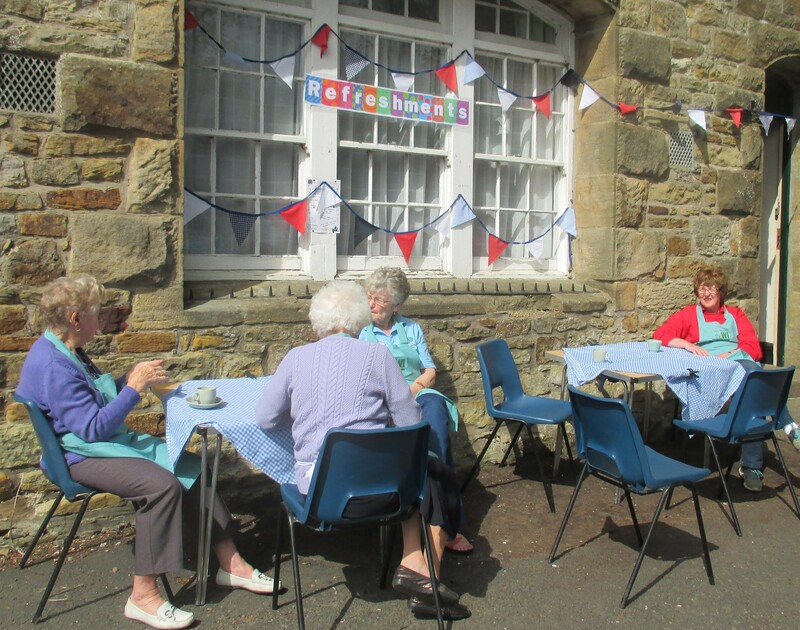 Our involvement in the local community saw us providing the refreshments at several Hall Fair’s and at the Church Flower Festival and the J and J team is a loyal participant in the Village Quiz Nights. We have held coffee mornings with the proceeds going towards the Community Hall Funds and we continue to maintain the W.I. garden at the Hall and look after the Jubilee Trees on the Welfare field. The trip to the Lake District was enjoyed by many members. Our Programme this year was wide ranging with, for example, talks on Seaton Delaval, the Street pastors and women at war. Several women spent an enjoyable day at Helen Grierson’s glass studio and produce their own fused glass panels. The book Club and walking group continue to flourish and the sun shone on us for the Garden Party in July. We continued with the lunch group meeting every other month with some tasty meals and good company. We sent representatives to the Council Meeting at The Royal Grammar School, Newcastle and the Christmas service at Hexham Abbey. We have had 2 events with our twin W.I. at Bamburgh and look forward to developing this further with our domino drive and lunch in July. Some members attended the Live streaming of the National A.G.M. at the Tyneside Cinema in June and one of our woman was at the Royal Garden Party at Buckingham Palace. Many members have been recording their memories of the earlier days of Shilbottle W.I. which we will make into our celebration of the W.I. Centenary with assistance from the Ballifgate Museum. Prudence led us through the nomination and ballot for President and Fliss Edmunds was returned for another year. Flowers were presented to Isabel Watson to celebrate 25 years as our Treasurer. The Competition Cups and vouchers were given to Barbara Thompson 1st and Sue Paton 2nd. Launch of our oral history project on 21st April 2015 at the Community Hall. 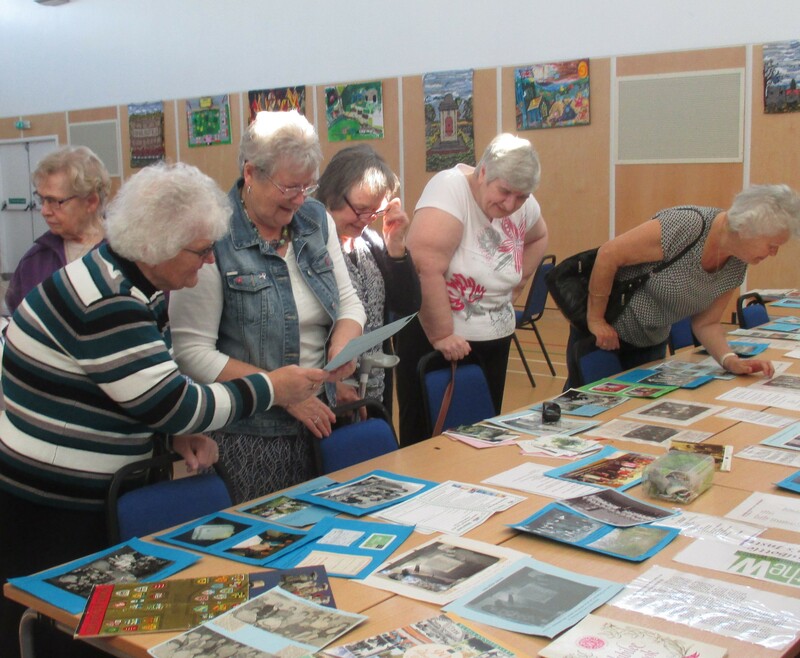 Many members were interested in the old photos and programmes from the archives of Shilbottle W.I. and these set of many memories. We will now record personal recollections from various women which we hope will form a basis of a small publication or Power Point Presentation. Both Shilbottle B teams for dominoes and darts got through to the County Final which were played on the 30th March at the Ridley Arms, Stannington. The Dominoes had a very tight match against Whitfield which went to a play off, which we narrowly lost. Hard luck Sheila Robertson, Jean Fairness, Sue Paton and Isabel Watson. 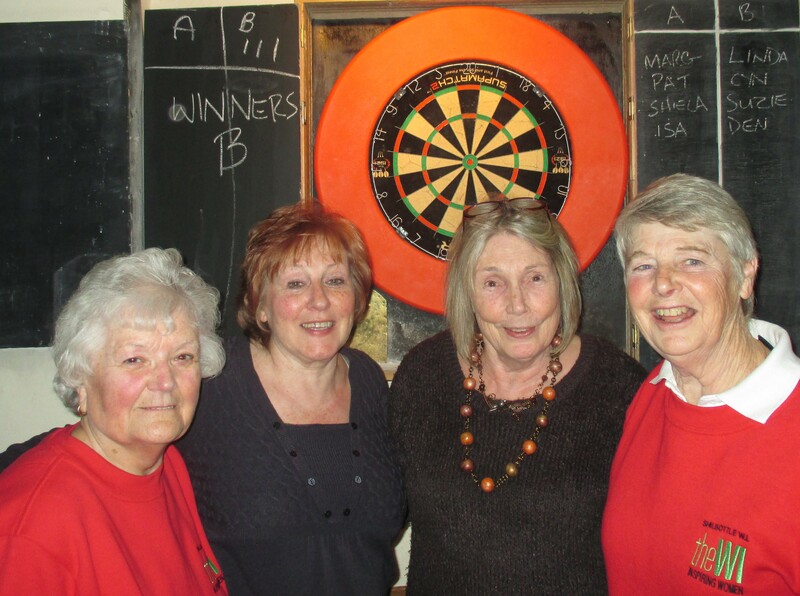 The darts team of Suzie Rumens, Cynthia Stalker, Linda Law and Denise MacKay were successful. We dedicate our win to Nan who passed away on 19th March . She will be sorely missed. Shilbottle B darts team through to the County Finals along with B Dominoes team.